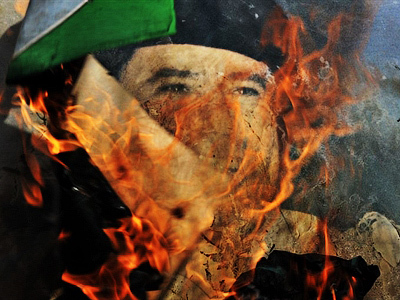 Pro-Gaddafi forces are attempting to recapture Libya’s third largest city, Misrata, in their latest offensive. NATO is investigating reports that at least 13 rebels were killed in a coalition air strike. ­On Sunday morning, government troops renewed shelling of Misrata, the opposition’s only stronghold in the western part of the country. According to Paula Slier, RT’s correspondent in Tripoli, at least one person was killed and several were wounded in that early attack. Paula quotes doctors in Misrata who say in the last week alone about 160 people were killed in the city. 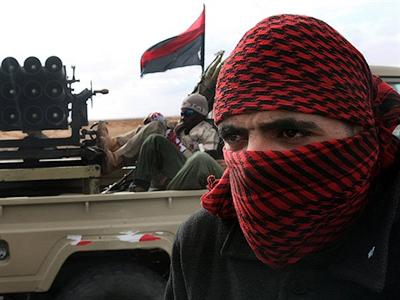 Despite the fact that Misrata is in the hands of the rebels, there are reports that they are beginning to lose ground there. 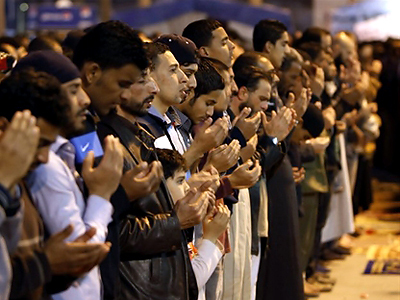 However, since the fighting started, it has been quite difficult for journalists to get to Misrata in order to confirm any information coming from the city. As for reports about NATO killing 13 opposition members in an air strike, there is a lot of confusion and uncertainty among the rebels, RT’s correspondent in Benghazi, Egor Piskunov, says. 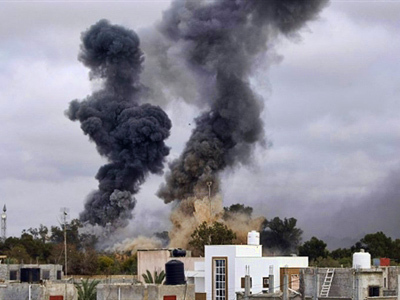 Some reports say the air strike was provoked by pro-Gaddafi fighters who sneaked into the rebels’ territory and opened fire at the NATO planes so that they were forced to fire back. However, others say the rebel fighters opened fire in the air while celebrating their advance west. This might have caused confusion among NATO pilots, prompting them to open fire. This second version is a possibility as the rebels are not well organized and lack military training. At the same time, the opposition understands that even though there might be some accidental casualties among their supporters from NATO shelling, without NATO’s support they will not be able to achieve their goal. Poor organization and poor level of training are among the opposition’s main problems. 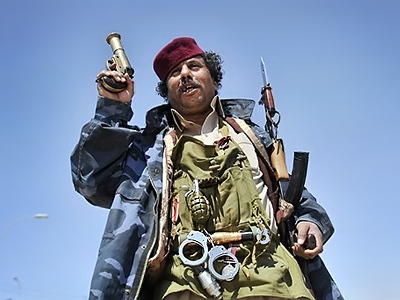 Gaddafi’s troops are much better organized, trained and equipped. There were reports of rebels arguing and fighting with each other, which also affects the way they fight Gaddafi’s troops. 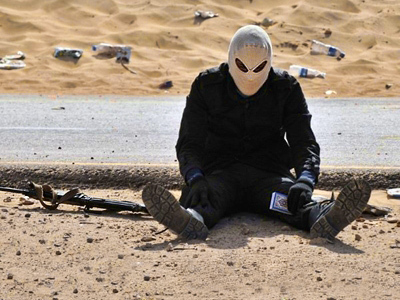 Those who served in Gaddafi’s army before the uprising, try to teach new conscripts. Although there are many volunteers that want to go to the front, it does not provide the right level of preparation. Allegedly, the US and Egypt are already secretly training the opposition forces, as there are many inexperienced teenagers among the rebels which obviously affects their military performance, reported Al-Jazeera. The rebels also say they are short of arms and ammunition, claiming to be ready to take arms from any country. So far, the coalition has not decided whether it will supply them with weapons, fearing there is a high chance the arms will not get into the right hands in Libya. According to the latest reports on the ratio between Gaddafi forces and the rebels, there is allegedly one rebel against ten Gaddafi fighters. This comes against the stalemate in the conflict, most of which is centered around the town of Brega, and against the increasing criticism from US President Obama’s own administration over the capability and the representation of the opposition forces. On Sunday, the US stopped all military involvement in Operation Odyssey Dawn in Libya, passing all responsibility for ending the mission to its NATO allies, AP news agency reported. American fighter jets, submarines and missile ships have officially stopped firing at Gaddafi’s troops. Ever since Washington handed over command of the military operation to the NATO coalition, the US has been slowly winding down its involvement and decreasing the number of its weapons at Libya’s borders. However, the US has decided to leave some ships in the area for a while, in case NATO troops need some military support. From now on, the participation of the Americans in the operation will only be possible upon the special request of NATO and approval from the Pentagon. 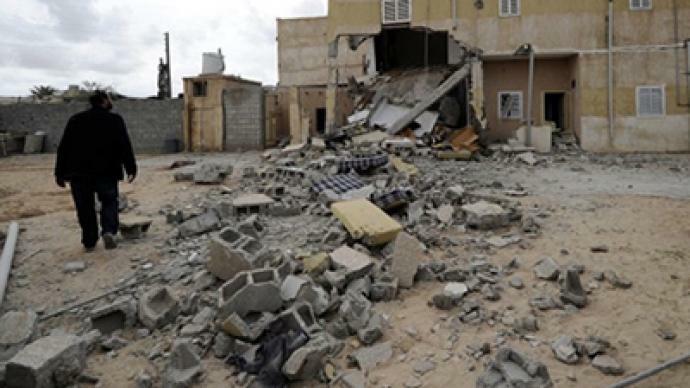 Meanwhile, as what has been dubbed a humanitarian intervention in Libya is gaining pace, political experts around the globe have voiced growing doubts that the military operation in Libya is justified. Mahdi Darius Nazemroaya, from the Center for Research on Globalization, who joined RT from Ottawa to discuss the current situation in Libya, calls NATO’s humanitarian effort a simple cover-up. Brazilian journalist Pepe Escobar echoed his colleague’s sentiments about the situation in Libya. 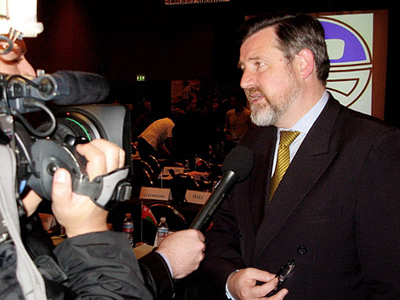 “Germany, the most important country in Europe, Brazil, China, India and Russia – the BRIC countries – they all abstained from voting (on the UN resolution), because they knew there is a dirty deal between the House of Saud and the Obama administration – you can attack legitimate protests in Bahrain, and, in return, you give us a green light to attack Gaddafi via the Arab League’s no-fly-zone resolution – which, by the way, was voted on by only nine of 22 Arab League members,” he claimed.